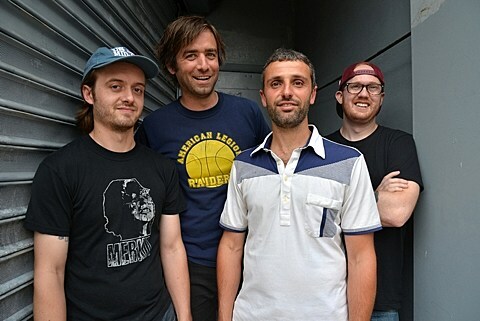 Dogs On Acid, the newish band with former members of Algernon Cadwallader and Snowing (and a current member of Hop Along), are releasing their self-titled debut album on August 28 via Jade Tree. While the band’s members helped revive ’90s emo in their past projects, Dogs On Acid is more inspired by that decade’s fuzzy indie rock. Get a taste for yourself with first single “The Prick” below. The band are beginning a short tour with their Jade Tree labelmates Spraynard this week. It kicks off in NYC on Thursday (7/16) at Shea Stadium with Caves and Marge. Tickets for that show are still available.